Meeting other mothers of twins has been one of the best things about being a mom of twins myself. They know how to relate on a completely different level than moms with singletons and there is an instant bond because of our unique children. When I started doing the Twins Stuff! newsletter for the site, I thought it would be fun to incorporate features on the remarkable moms I have met along the way. If you subscribe to our Twin Stuff! newsletter then you may already be familiar with some of our Featured Mothers of Twins. These super twin moms manage life, business and raising twins with great finesse. Check out my interviews with them to get helpful advice and unique insight on how they balance it all, as well as information on their businesses and links to their websites (many of which are totally twin related). 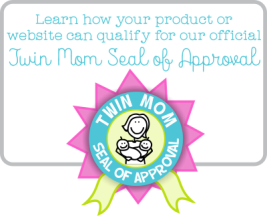 If you're a mother of twins or even soon to be mother of twins, you will truly enjoy meeting them as much as I have! We will continue to archive our featured mothers of twins as they come out every month, so check in and see who's next or subscribe to our free newsletter if you would like to know via e-mail.